Simplicity of use makes it ideal when the removal and refitting of guards and panels are required; rapid assembly and disassembly! FAST TURN – less than half a turn, releases and re-engages the fastener. 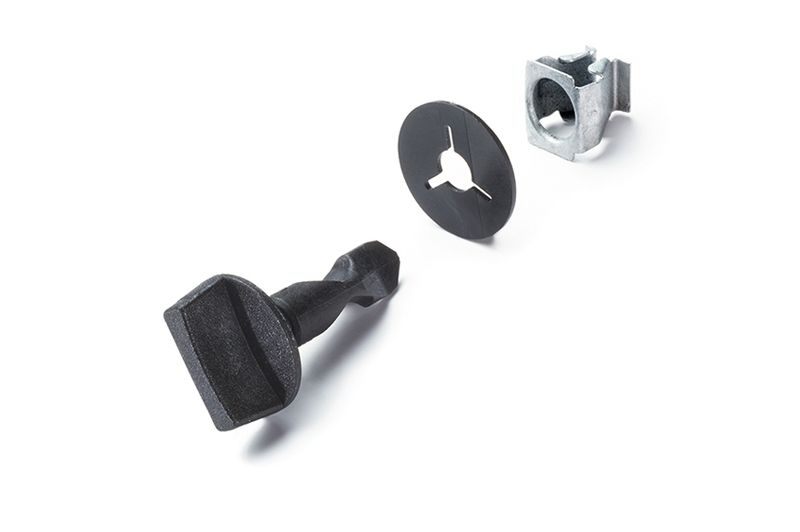 These quick acting fasteners are maintenance-free and vibration resistant. It is a strong system, yet simple to use. 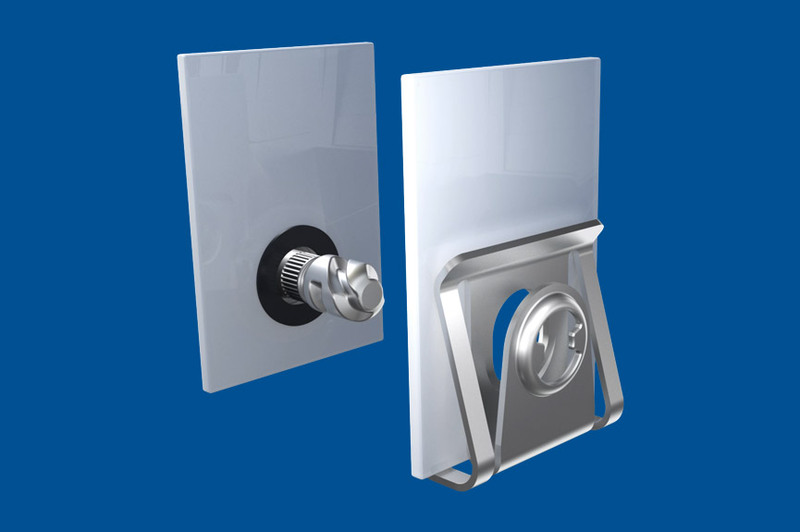 It consists of a hardened steel stud, a plastic retainer and a spring steel, slip-on receptacle that only needs to be clipped onto the opposing panel, completing installation in seconds. 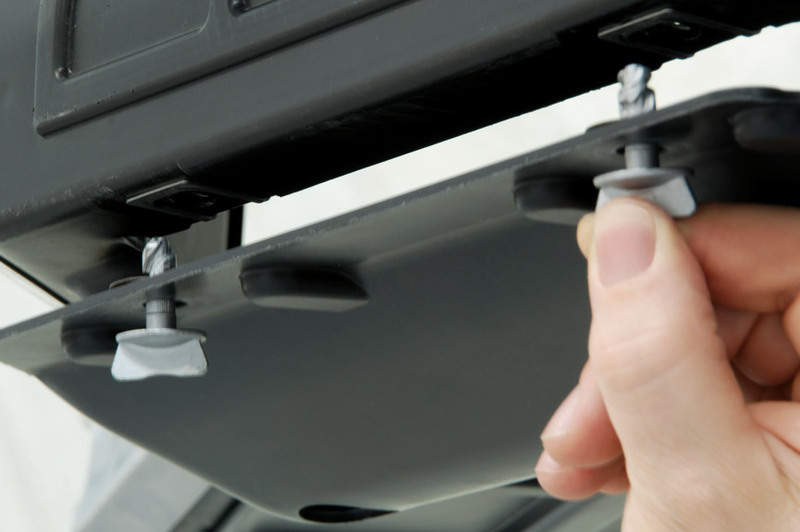 The fastener, which has strong anti-vibration qualities, only requires a quick half turn to operate. When undone the retainer captivates the stud to the released panel, so it will not be lost - a vital requirement where regular servicing access is required. Available in 4 different diameter sizes with a range of stud lengths to accommodate a wide range of panel thicknesses. 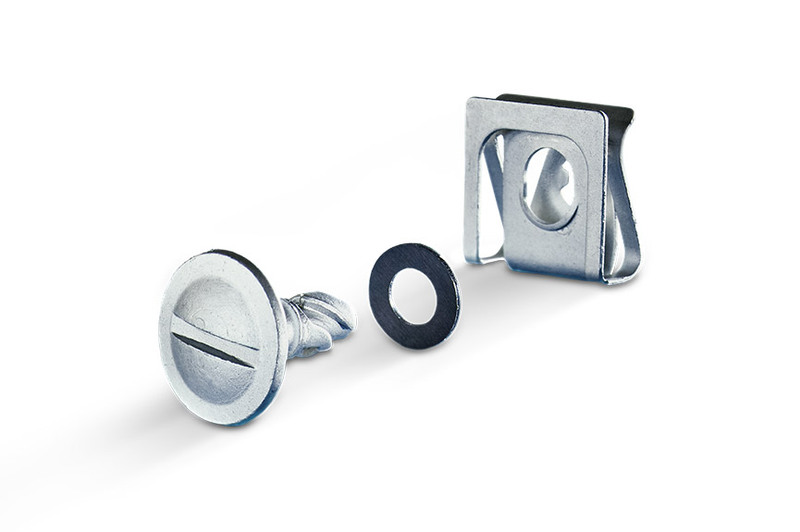 The standard finish for stud is Zinc plated and surface treatment for receptacle is silver zinc laminar. More and more manufacturers are using these products to provide added value for their customers. Application examples: electrical cabinets, air conditioning units, compressors, inspection panels, engine covers, noise shields on a variety of motor vehicles and so on.